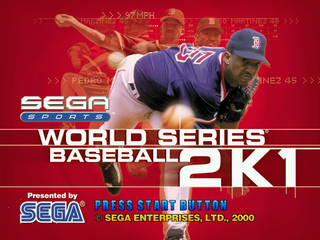 World Series Baseball 2K1 (ワールドシリーズベースボール2K1) is an entry in the World Series Baseball franchise. This one was released for the Sega Dreamcast. Main article: World Series Baseball 2K1/Magazine articles.